A fusion of elegant lines and feminine musky pink. 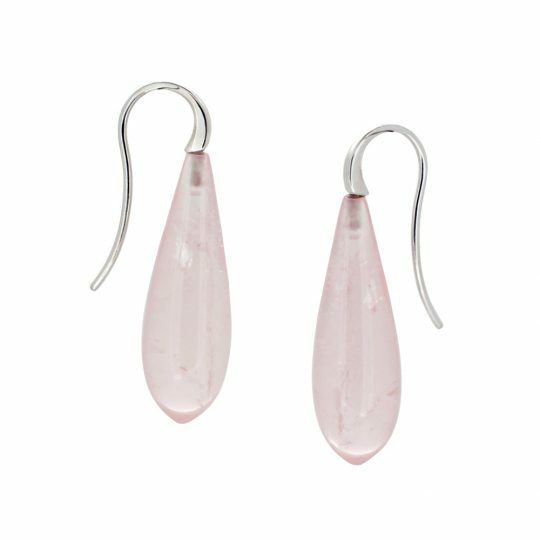 With polished Rose Quartz and Sterling Silver hooks, these earrings are ideal for the modern woman. Perfect for the working day and taking you to the eavening. Measuring approximately 8mm at their widest point and including the ear wire have a total drop of 33mm.